As a startup company, you probably want to cut costs wherever you can, right? Enough startups never get off the ground as it is, so you should take every financial precaution you can to make sure your ship doesn’t sink before it even leaves the harbor. But what many business owners don’t realize is that going without professional cleaning services is a terrible idea. You might think that it’s an excellent opportunity to cut costs by doing the facility management by yourself, but the repercussions of that decision could end up harming your business in ways that you never imagined. 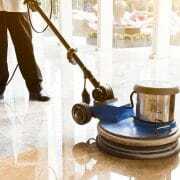 Every good business should have a team of professionals cleaning their building/work space, especially those in California in need of Sacramento facility services, but there are some misconceptions about the benefits and potential drawbacks of doing so. In order to clear those up, let’s take a look at a few common misconceptions people have about hiring janitorial services for their business, and why they just aren’t true. High pricing is the most widely held belief by those who choose to opt out of hiring a commercial cleaning company. But, if they just looked into it a little deeper, they would see this is false. 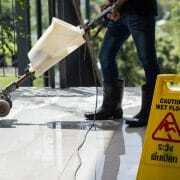 Commercial janitorial services work with companies that are operating on a shoestring budget. They are generally more than happy to accommodate you. A company with a janitorial service, like Shine Facilities, works with your budget to be able to provide the services you need. At Shine Facilities, we look at your business location and evaluate the kind of maintenance you need. On the surface, cleaning doesn’t seem that complicated. You sweep up the dirt, mop the floors, maybe spray some Febreeze, and you’re good to go, right? Well, unfortunately, it’s not that simple. See, it takes particular chemicals and cleaners to clean carpets properly. If you choose to buy store bought cleaners and use them on your carpets, you could severely damage them. This damage could lead to a reduced shine or even discoloration. Nothing spells unprofessionalism like an unsightly carpet, daring you to notice it. Local cleaning or janitorial services will have precisely the right chemicals for the job, and you won’t have to worry about the ill consequences of doing it yourself. This is another common misconception which is not true at all. Professional cleaning teams are well aware that people don’t want to smell bleach and disinfectant, and they take precautions to make sure that smell is long gone by the time you return. They may even use products that serve as natural alternatives to bleach but leave no foul odors behind. Hiring janitorial services can seem like an unneeded expense in the early stages of a startup, but this couldn’t be further from the truth. Professionalism counts at every level, and hiring a well-priced cleaning team could make all the difference when word gets around about your company. Your customers might not even be able to put a finger on it, but they will leave your place of business feeling subconsciously better about whom they chose to work with, thanks to the beautifully clean and pristine environment that these services can provide you.